Thanks for the inspiration everyone. 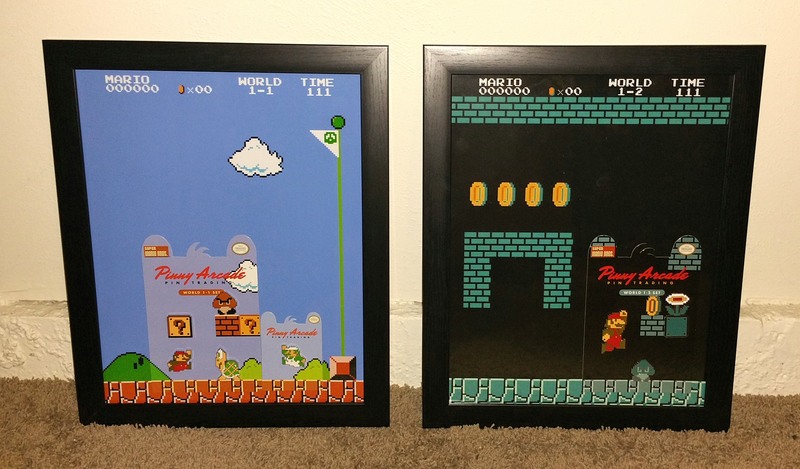 With the Mario set due in my mailbox soon and the new Ac Inc blind boxes looking rad, I really need to make display my next project. Heck, I have the original DLC pin and it's sitting in a drawer right now! 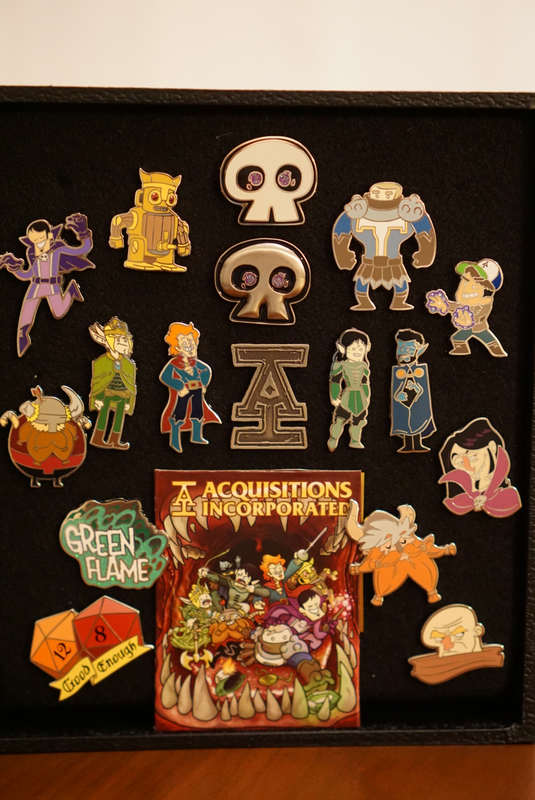 So like last year, I got 100% of the PAX West pins and then traded for the core sets and poly's for the other 3x shows. Waiting to print it out and get it all put together but thought I would post the design for thoughts/opinions. I know the resolution isn't high enough for you to read it and such, but that's fine, with last year's display you get the idea. 12/9/16: Poster came in last night. Photo doesn't do it justice. Great quality and shine to it. Will put it together sometime this weekend. And before I do that one ^^ tomorrow. Here's a little one from today. Nice. Where'd you get the art from? I wanted to doing something like that for the Arma pins, but all the art available was too low rez. First post in the AI thread has a nice resolution image. Nice, but where are you going to put the silver skull?! Wow, beautiful. You've inspired me to try to design my own. 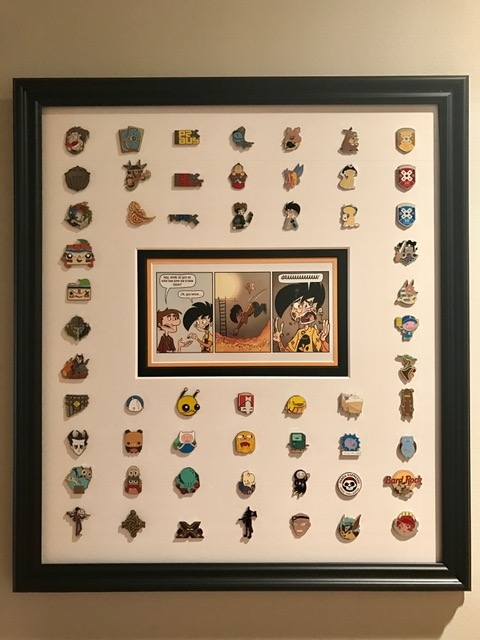 My newest pin display. 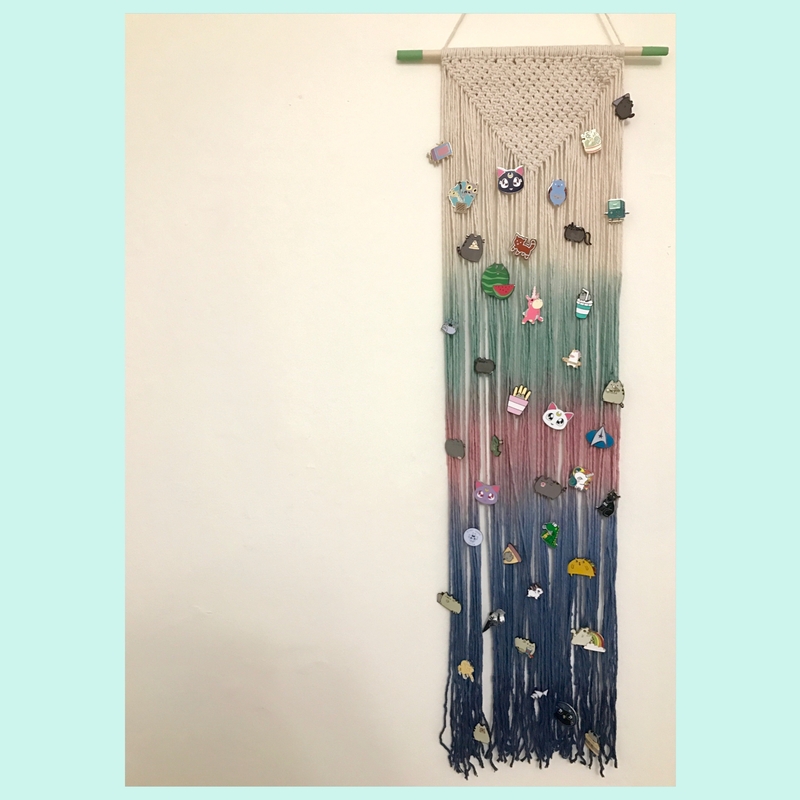 The wall hanging is from Etsy so I can't take credit for that. I just ordered one of these, so review soonish. EDIT: Voting on displays I see these are probably the same ones @Ajaxon posted a few years back. Couldn't remember if I posted the Armadeaddon or Mario ones, doesn't look like it. I use similar cases for my collection. 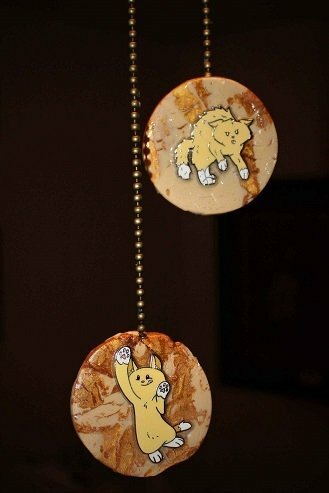 You can see my "Framed" pic on PinnyPals. I have 6, but only show my favorite case I get my cases from Amazon. They are expensive but great! 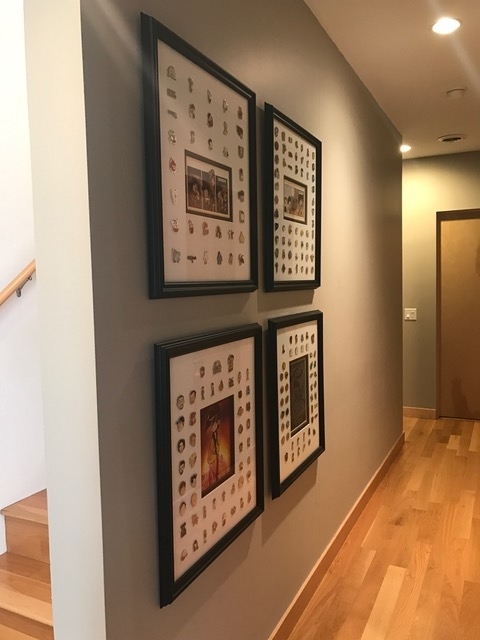 If you value your collection as much as I do, this is an awesome way to display it! We just finished another frame. I'm looking forward to making the rest when we have time! 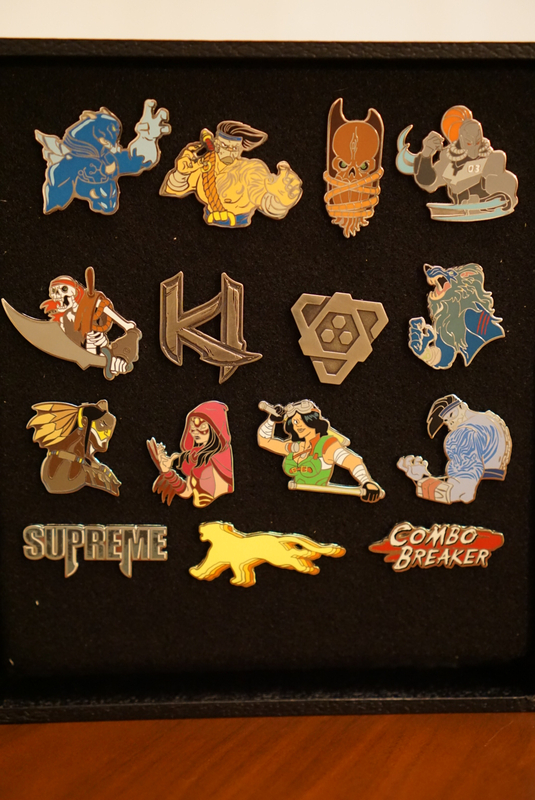 I'm curious and interested to know people thoughts on best backing colour and material for pin displays. 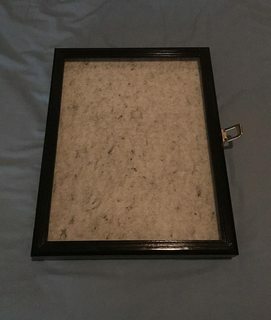 I will be covering a cork backing with something, likely felt, (at the moment that test frame is black felt), but would love to know what people think is the best backing colour and material based on their experiences. I think it depends on the display. 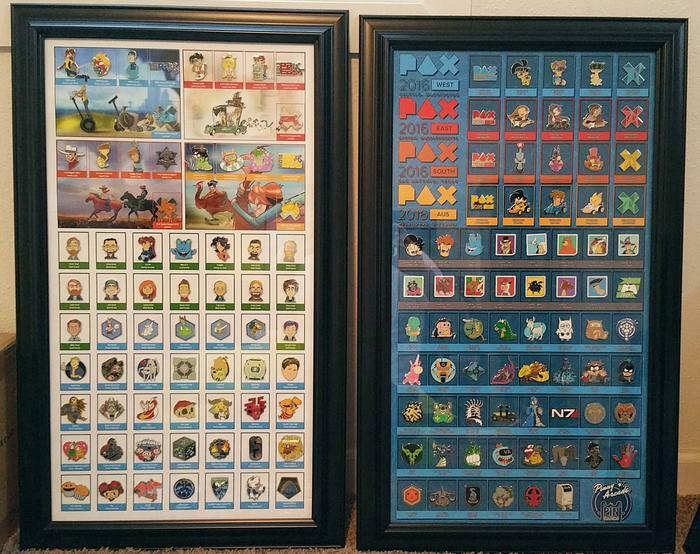 If it is specific to a certain PAX than the color of the show always looks great (Prime/Blue, East/Red, AUS/Yellow). Other than that, personal preference, depends on the room, blah blah blah. 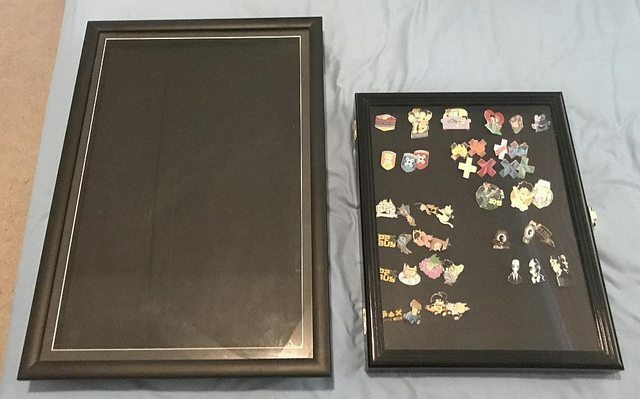 Went back and did a 2013 and 2014 and put the pins I had in. Another Mario set, another photo. I might have taken a turn for the 'integrating pins into functional' and made fan pulls. What a great idea! They make wonderful Christmas decorations too, if that's your thing. 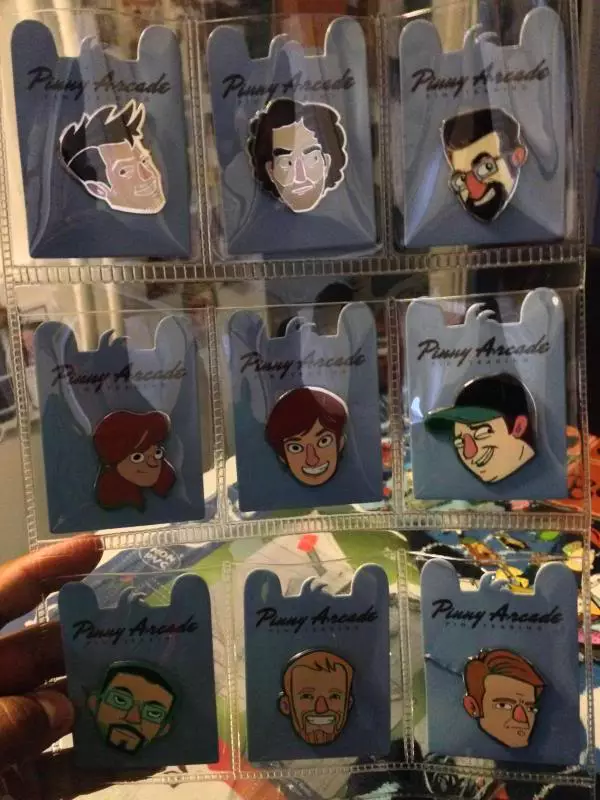 I'd like to put this on the pinnypals facebook if you wouldn't mind? I may have to come find you and have you make me some of those! Here's my little collection. 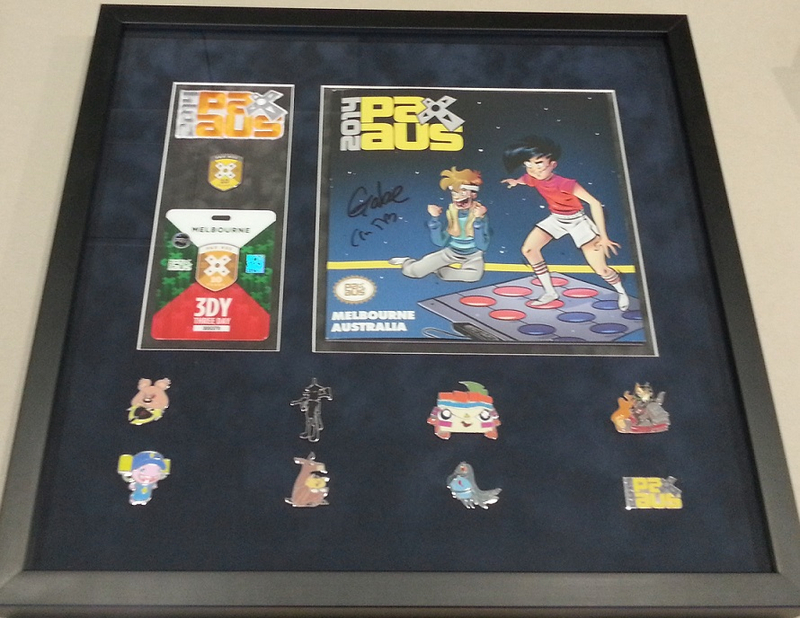 I really only started getting into pins at PAXAus 2016, even though I had a few from previous conventions. 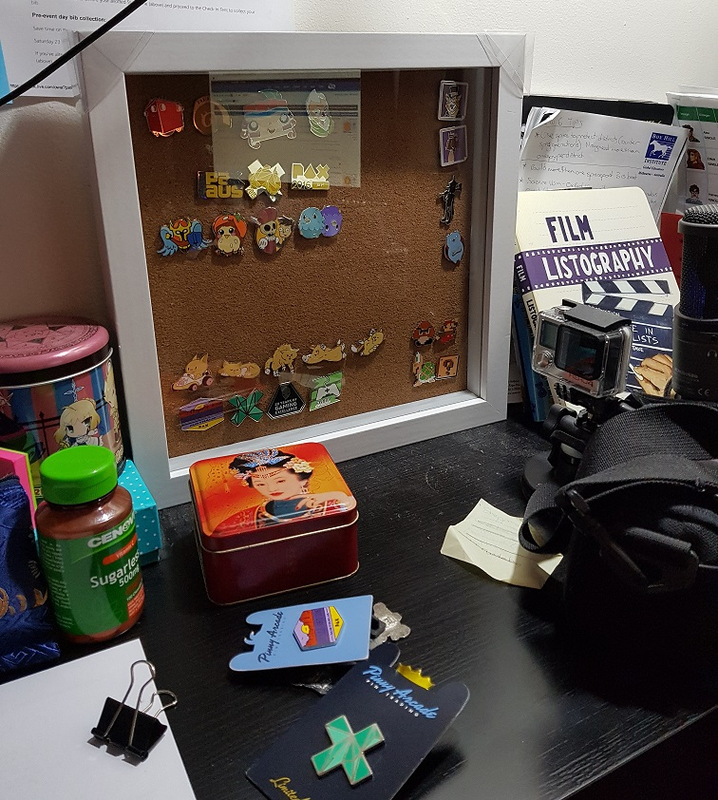 I liked the idea of shadow boxes people have posted here, and found a cheap one at my local Kmart. The back isn't fixed on properly yet, which I am fine with as I want to add to this current bunch before hanging it it somewhere in our new place. When I have more time, I think I would like to do a display with my favourite PA strip inside, but I guess I'd have to pick a favourite strip and that is very very hard! 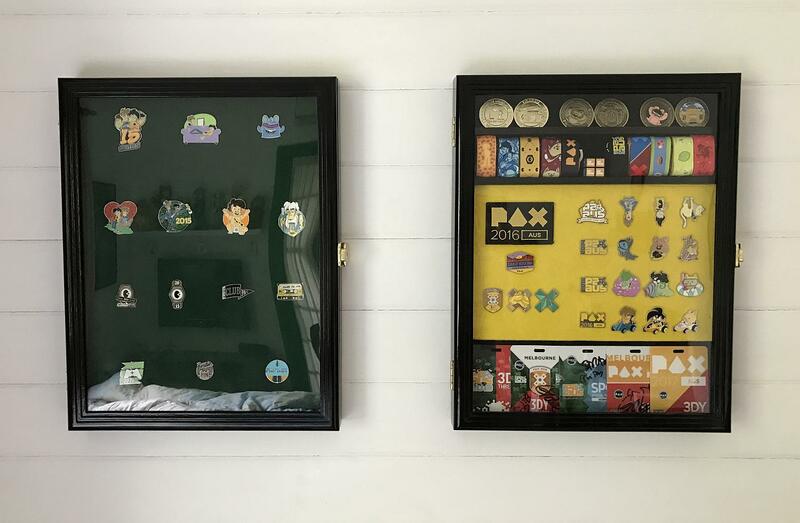 A few weeks back I finally got around to adding my pins to my 2 new boxes. The second box I ordered was actually the same model but it can also display challenge coins. The only difference is it has some slots on the sides (that you can't see when it's closed) for the coin "shelves" (comes with a bunch of them for future expansion as well). Since it's basically the same box for the same price and the coin holders slide right out I'd recommend just getting that one if you think you might ever consider a display that could include coins in the future. Less is more with these cases, so only the special pins (to me, anyway) made it in. The same company makes smaller ones about the size of the staff case I made before, so I'll be ordering a couple of those in the future. I'd usually just go black felt, but I tried a dark green for the main case (hard to see in the photo). If I was doing it again I'd probably go a lighter green. Not sure if I'm happy with the yellow felt in the AUS case; the pins blend into it a bit too much. Maybe a light green would have been better for that as well. 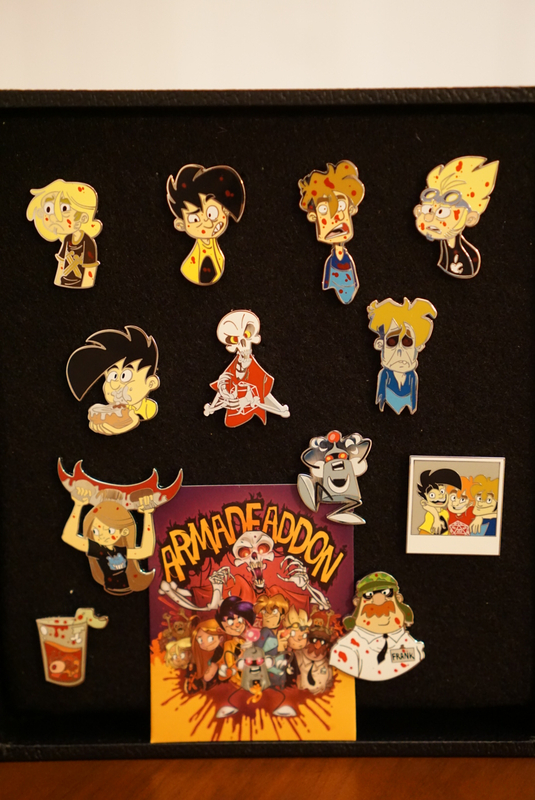 Next time I have to expand it to accommodate more pins I might try that out. 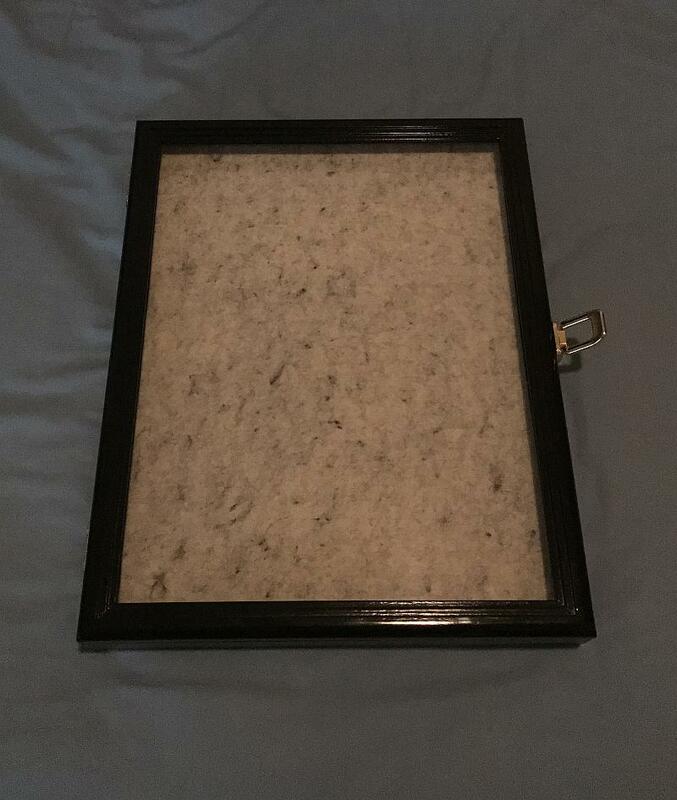 I've set up a few of the collections into black matte shadow boxes. More TLC is needed and I'm waiting on the last pin to complete the KI set. 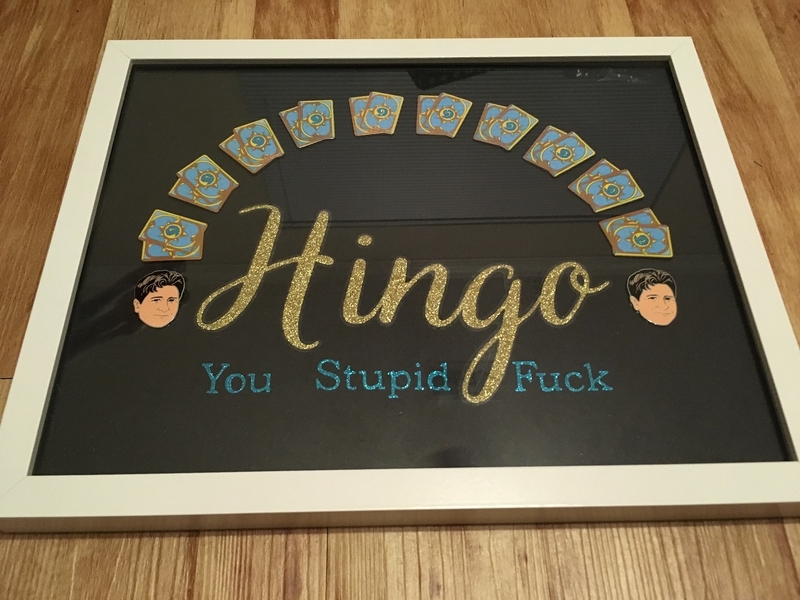 Does anyone have recommendations for a decent pin display book? The ones I usually get appear to be sold out. I use any old CD wallet. I can't jam it completely full of pins or it won't close, but it's a very cheap way to show a solid number of pins. If you leave the pins on the backers they fit into binder card sheets nicely. Seen a number of people do that at shows. Yep this is what I do. Standard ultra-pro 9 card pages, and a basic large 3 ring binder. Yeah they're great I use those as well for the my own collection. Good point though I have to get some more! That works really well for me, I also then put them into different coloured folders depending on the PAX they're from. Helps me organise things a little bit.